A Haiti with a functioning democracy. A Haiti where human rights are respected. A Haiti with a vibrant economy and a thriving agricultural sector. And a European Union which contributes in a meaningful way to achieving those goals. The Coordination Europe-Haiti is a network of engaged European civil society organisations and platforms. 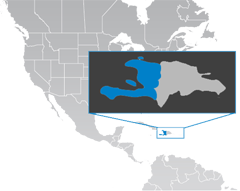 We work closely with civil society organisations and movements in Haiti. 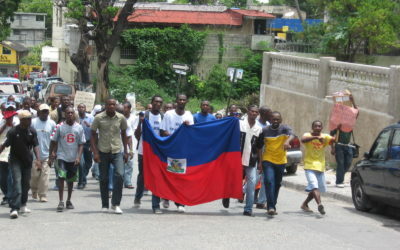 Get informed about the latest events and news items about Haiti. Read the latest articles, news feeds and tweets from prominent news sources that report on haiti and its development. Haiti is in turmoil. The government announced an “economic state of emergency”, and all over the country people are taking to the streets, demanding the departure of president Jovenel Moise, who has been in power just two years. What is behind this political and economic crisis? And will there be light at the end of the tunnel? Colette Lespinasse, representative of the COEH in Haiti, explains the situation and shares her views. 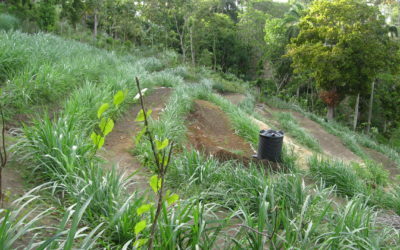 In November of 2018, the Agricultural and Environmental Commission (CAEC) of the NGO-network CLIO organized a debate on public policies supporting family agriculture in Haiti. Colette Lespinasse wrote an introduction to the link of a video of the debates.